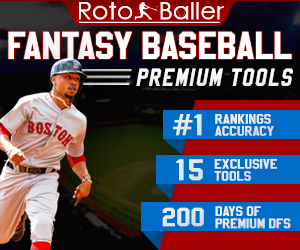 At Rotoballer, we are starting off the month of August with a series of articles covering a mock draft with 12 Rotoballer Writers that was drafted at the end of July. A forewarning, this mock will not be able to account for more recent news like the Le'Veon Bell suspension and the Josh Gordon reinstatement and suspension. In this article, Justin Bales will be breaking down the teams that selected from picks 10 to 12 in the mock draft. 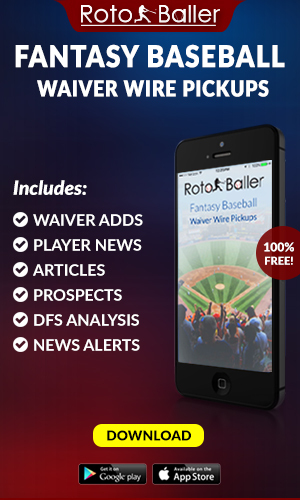 The full mock can be found here: Rotoballer Team Mock. Gronkowksi in the second round was a huge surprise. 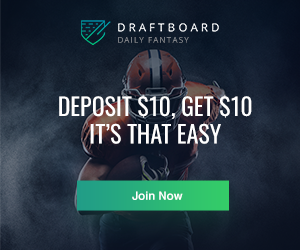 His average draft position (ADP) in PPR leagues is 7.0, which is eight spots earlier than he was drafted. 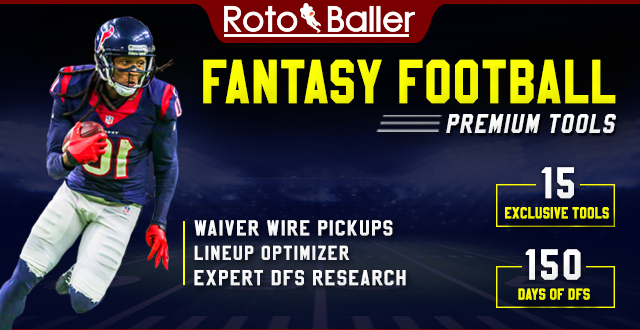 He is the consensus best tight end in fantasy football, and selecting him is like adding another wide receiver to your arsenal. 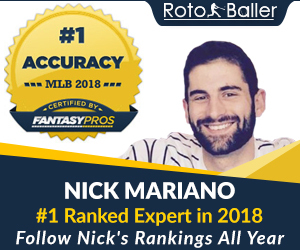 He comes into the season with a questionable injury prone tag, but if he stays healthy, he could end up being the top fantasy option on this team. 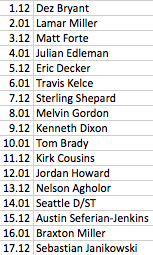 I may have jumped the gun on Kevin White, as his ADP is 28 spots later than I drafted him. Quite frankly, it is never too early to draft a big receiver with elite speed and great hands. White isn’t the best receiver on his team, but the Bears recently stated that they don’t view Alshon Jeffery as a number one receiver, which means they must view White for that role. Still, White is a much better stash in dynasty leagues than re-drafts, as he may need a few weeks to catch up to the speed of the NFL. White isn’t necessarily a bad pick in terms of potential, but this was too high for him right now. This team has a lot of high points, but it also has a lot of low points. The strategy for the quarterbacks is good, as Winston comes with plenty of upside, and Rivers is a capable player if Winston begins struggling this season. Running backs are above average, but they don’t make up an elite group. Everyone is young, which is always risky, but Elliott, Hyde, and Johnson should have immediate snaps with their respective teams. All three running backs have the ability to be receivers out of the backfield, as well, especially Johnson, who could push 70+ receptions this season. Yeldon, Crowell, and Perkins make up good back ups, as they are all high upside options that will have opportunities to prove themselves throughout the season. The wide receiver group is weak and full of question marks. Randall Cobb leads the group, but he is likely going to end the season as a WR2 at best. Cobb will likely return to his former value, as he seems to be a better fantasy option with Jordy Nelson on the field. The rest of the receivers come with a ton of risk, as they are all young. Snead and Aiken are two of the better options for their value. They proved that they can play last season and they didn’t cost a high draft pick. Rob Gronkowski takes some of the pressure off of the receiver corps, though. He is essentially the top receiving fantasy option on this team. If he stays healthy, he should continue to be the best fantasy tight end in the NFL. Charles Clay was a low risk, high upside player, as the Bills recently stated that they want to get him more involved this season. The team certainly has it’s flaws, including relying heavily on young players to produce. If everyone clicks, this team has the potential to win the fantasy football championship. It does have a ton of injury prone players, though, which means it also has the potential to be one of the worst teams in the league. Ultimately, it is much more likely that the players are able to produce rather than get hurt, and it is rewarded with an A- grade. Robinson is coming off a breakout season and he has solidified himself as one of the best young wide receivers in the NFL. After A.J. Green was selected, there was a run on running backs, which caused Robinson to fall to the 11th overall pick. He is a WR1 and Andrew found great value here. He is in an explosive offense that will continue to get better as the young players grow, and Robinson has the potential to be a top-10 fantasy player this season. Andrew was in need of running backs after drafting wide receiver heavy through the first few rounds. That may have been a factor in drafting Vereen this high. He was selected nearly 30 picks higher than his ADP in PPR leagues. Vereen is part of a logjam at running back for the Giants, and they will have four backs contending for carries this season. They also added Sterling Shepard and are expecting Victor Cruz back from injury, which could hurt Vereen’s targets. Vereen will give you a few receptions each week, but he isn’t someone that should be relied on for more than a bench role on fantasy teams. The quarterbacks on this team are strong. Roethlisberger should be able to bounce back and there is a lot of talk about Tannehill finally gaining control of his offense. Even if an injury were to happen, Andrew will have good quarterbacks to lean on. Running back is a massive knock against this team. Jeremy Hill is the top option, and while he could have a good season, it’s highly unlikely that he works his way up to a RB1. It’s much more likely that he’s a RB3, as he splits snaps with Gio Bernard. Jennings will likely be the second starter for this team, which says a lot about the depth of running backs. Sims, Vereen, Starks, and Allen fill out the rest of the group. This running back group is a tough pill to swallow. Andrew drafted heavy for wide receiver, which is never a bad idea in a PPR league. Four of his first five picks were receivers, and they are arguably the most dominant group in the entire league. If Andrew’s strategy was to trade a receiver for a capable running back, he likely will be able to at any point in time during this season. Olsen and Witten also add to the receiving corps, and they are two extremely safe tight end options this season. This team certainly has its flaws, but it also has one of the best groups of receivers coming out of the draft. The team would certainly benefit from a trade involving a wide receiver for a running back. Brady will serve his four game suspension, but he’s still an elite fantasy option. Last season, he was the second best fantasy quarterback behind only Cam Newton. He averaged over 20 fantasy points per game, and he will likely be playing with a vengeance this season when he returns. Harris did well to add Kirk Cousins, who is more than a capable starter for the first four weeks, which is why Brady is such a great pick on this team. Dixon is a high upside option, but he might carry little to no fantasy value this season. The Ravens have multiple running backs that will be vying for carries, and it’s like that Justin Forsett takes the lions share if he comes back healthy. Dixon is a better pick in dynasty leagues than re-draft leagues, and he’ll likely need a couple injuries to happen for him to see a workload that is worth using in fantasy. Harris’ quarterbacks are one of my favorites of any team in the draft. Brady is an elite option, and Cousins will make a great fill in player while he is serving his suspension. Cousins has plenty of upside to be the starter, but nabbing Brady in the 10th round was an elite pick. The starting running backs on this team are great, but it lacks a bit of depth. Miller has good RB1 potential because of the large workload he should see for the Texans. Forte fell a bit because of his age, but he still has great upside for the season. Gordon is also a good option, but Dixon and Howard are two risky options because they play in running back by committees. If no one gets hurt, the depth should not matter much. The wide receivers are in a similar state as the running backs. Bryant, Edleman, and Decker make up a great starting trio and should be able to lead the team. Shepard is also a good backup, but he does come with risk, as rookie receivers tend to struggle a bit. Agholor and Miller are the two final receivers, and they likely won’t make huge fantasy impacts this season. Kelce solidifies one of the best starting rosters in the draft, as he’s one of the best tight ends in the NFL. Austin Seferian-Jenkins comes with upside if he can get his head on straight, but he’s another questionable backup. Harris’ team has one of the best starting groups in the league, which makes him a threat for the championship, but he lacks depth. The backups will likely struggle to make much of an impact this season, but as long as no one gets hurt, Harris has to be one of the favorites.